Are you up for the challenge? 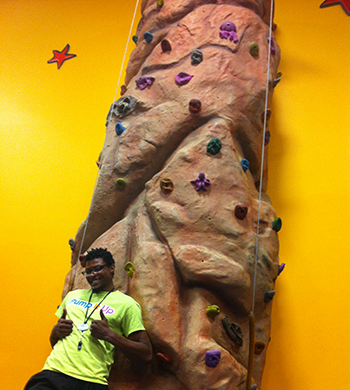 Try our rockwall today and see if you have what it takes to make it to the top! 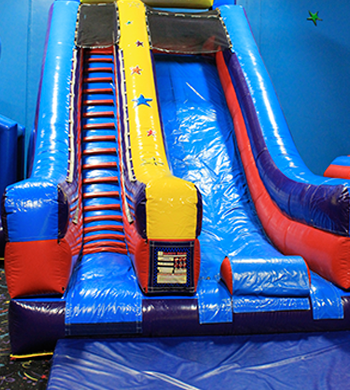 Slide down the huge slide! 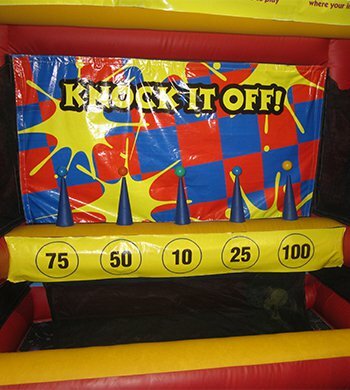 Let us your skills and knock all the floating balls. 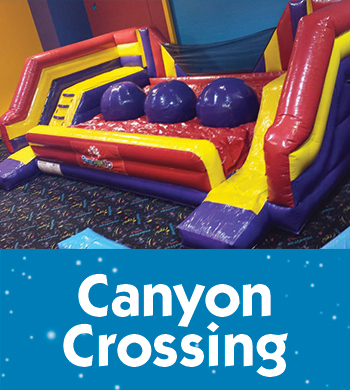 Challenge yourself on the new Canyon Crossing. 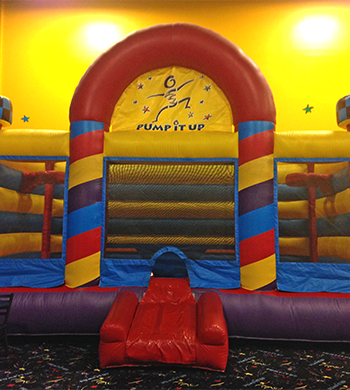 It is tons of fun to jump from ball to ball! 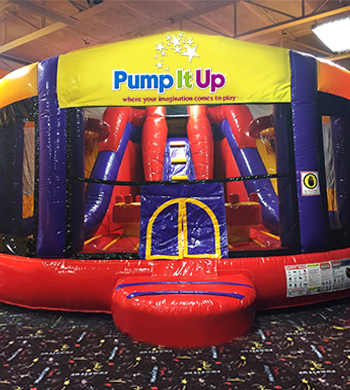 Hoop it up at Pump It Up! 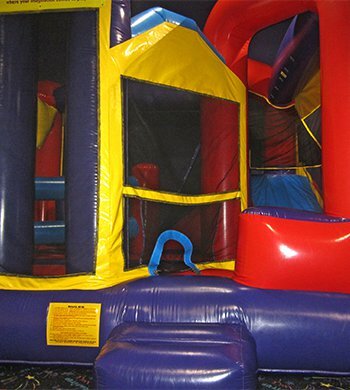 Bounce, jump, climb, slide, and shoot hoops, all in one great inflatable. 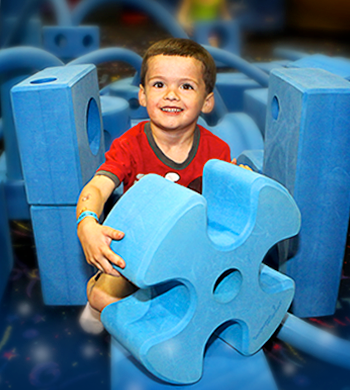 Turn these blocks into a tower, a fort or a bridge – whatever your mind can imagine, the possibilities are endless! Whoosh! Brave the blast! 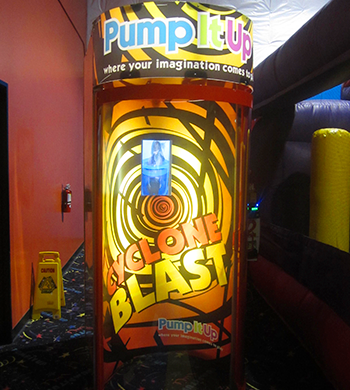 With speeds of up 78 miles per hour you’ll feel like you’re in a REAL STORM. 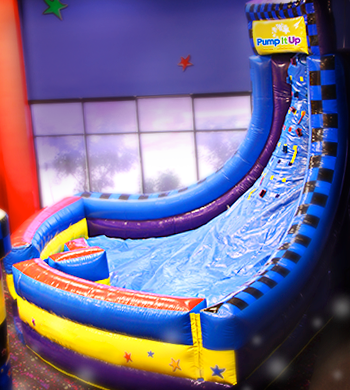 Go on…try this ride – you’ll be blown away!